We are proud to introduce a new design of the entire range of futsal balls. SELECT’s identity is maintained with the classic white as the base colour while powerful and visible colours have been added to the design in order to create a dynamic and contemporary expression. The new design with coloured edges increases the visibility of the ball to players, goalkeepers and spectators. In the development process, we received valuable feedback from professional league players, youth players and a kicker coach, and we have had full training sessions with a professional goalkeeper to test the ball’s visibility in the air. We are offering many balls covering all needs for this exciting and fast-paced sport. 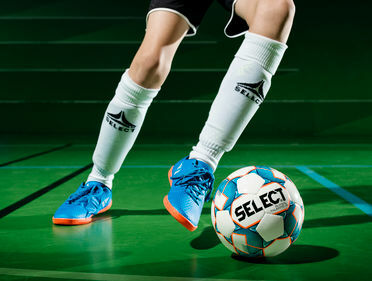 Futsal training balls in three sizes for young futsal players. Futsal is an extremely intense and emotional game and therefore also exciting to watch. Besides the fast pace, more goals are scored and there are more shots on goal than in traditional football. The surface, the ball and the rules demand improvisation, creativity and fine technique of all five players on each team. . 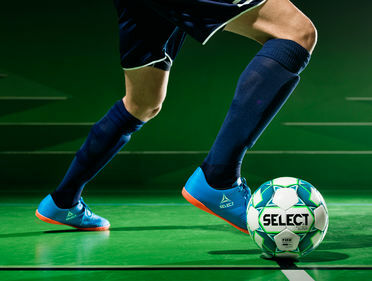 SELECT presents a massive range of futsal balls with a controlled bounce in accordance with the rules, and we are proud to be first-movers in the development of specific balls regulated in circumference and weight for each age group. We believe that young futsal players need balls that are smaller and lighter and are adjusted and adapted to their age. 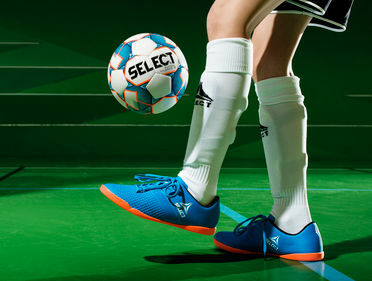 SELECT has introduced three balls for U9, U11 and U13 players - the “Talento 9”, “Talento 11” and “Talento 13”.